This view looks to the east from the Scott Monument in Princes Street towards across the flower gardens at Waverley towards the North British Hotel on the corner of Princes Street and North Bridge. 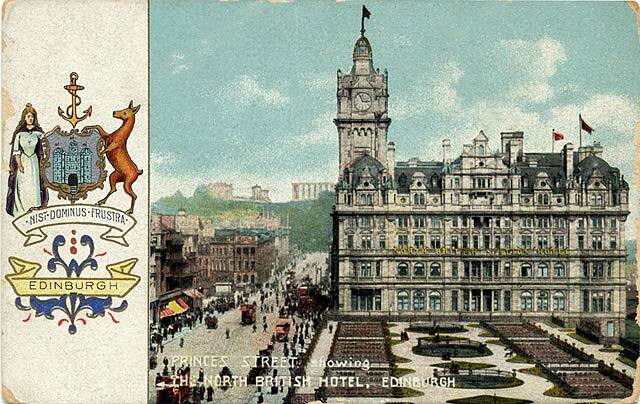 The road on the left is Princes Street, leading into Waterloo Place beyond the hotel. Calton Hill with its monuments is in the background.